What’s the Average Cost of Wrecker Insurance? Looking for low cost wrecker insurance? Don’t get 1 quote. Get 3! To find the best deal on insurance for your wrecker, you have to shop around. We’ve made that part easy. Just fill out 1 quick form and we’ll bring you 3 agents to compete for your business. Easy! Insurance companies don’t exactly advertise their prices. You have to go through a long process just to get a quote. How are you supposed to know whether you’re getting a good deal or not? Sometimes it helps to know what other companies in your industry are paying. We’ve assembled the average cost of wrecker insurance for different businesses. Keep in mind that these numbers are for new ventures, usually with a single wrecker. As you progress in your career and amass more vehicles and employees, your insurance rates will naturally increase. These numbers are averages. Whether your rate falls above or below these numbers depends on how the insurance company assesses its risk. Where your business is located. If there are high rates of automobile accidents in your area, you pose a greater risk to the insurance company. When you’re open. The insurance company will give discounts to businesses that are only open during daylight hours compared to companies that are open both day and night. How expensive your fleet is. A fleet of heavy-duty wreckers, triple-axle wreckers, or other large types of vehicles will cost more to insure than smaller tow trucks. What kinds of things you tow. A business that only tows cars will cost less to insure than a business that also tows boats and motor homes. What training programs you follow. A well trained workforce is less likely to get into accidents and therefore is cheaper to insure. Every business owner is looking to cut costs here and there. Here are three ways to reduce the price of your insurance. Shop around – By comparing multiple agencies, you’re more likely to find a price that your business can live with. This is easier now than ever with our Request 3 Quotes tool, which gets wrecker business owners in touch with three agents who’ll compete for your business. Choose the right payment plan – When setting up your policy, you’ll be given the choice on how often you want to be billed by the insurance company. You can pay more up front (year-to-year plans or quarter-to-quarter plans) or you can pay more frequently (month-to-month plans). When you pay more up front, you get better discounts, so keep that in mind. Stay safe! – Not only is a safe workplace a better environment for your employees—it also saves you on business insurance. Research different safety programs in your area and train your employees to avoid accidents. Different wrecker insurance companies calculate risk differently. 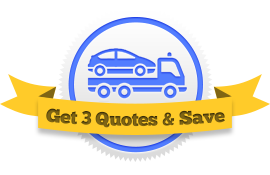 Shop around to find the insurance company that can give you the best price on insurance for your wrecker business.